What is The Aomori Nebuta Festival? The Aomori nebuta festival is one of the most famous Japanese summer festival.This is held from Aug.2 to 7 every year in Aomori. Nebuta refers to the big lantern float that have the shape of brave warrior figure.They are about 5 meters tall and 9 meters wide. Nowadays, they are made from steel wires, japanese papers, wood stays and electric lights.However, up to 60 years ago, they used thin strip of bamboos and candles instead of steel wires and electric lights. 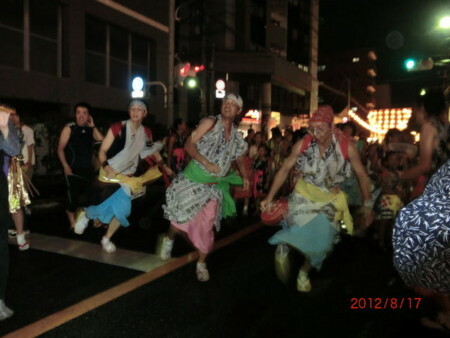 In the festival, there are nebuta 22 teams every year.Each team consists of 3 main parts. The first part is Nebuta lantern. It is placed on a wagon that has two tires and moved by many people. The second part is a musical accompanist team called "Hayashi-kata". There are 3 instruments, drums, bamboo flutes called "Shino-bue" and very small cymbals called "Teburi-gane". The third part is dancer team called "Haneto". Hanetos dress up with yukata and colorful clothes. Furthermore, they put on some small bells and a gorgeous woven hat. Originally, haneto is not a dancer. The motion of haneto is jumping with one foot in accordance with hayashi music. 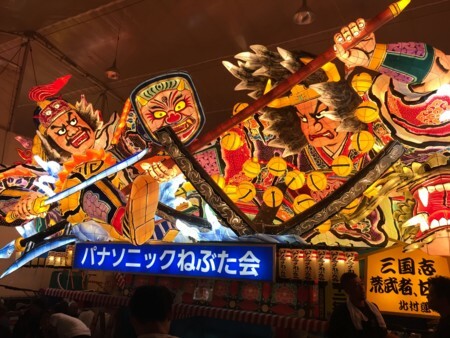 Each team with nebuta make a round of official route in center of Aomori city for two hours.So, if you stay one point of the route, you can all nebuta team in one night. Furthermore, You can join to the haneto team, if you put on official costume. You can buy the costume set at some shops in Aomori city. The original purpose of The Nebuta festival was ward off sleepiness that interfere with the work of harvesting. These ceremony is called "neburi-nagahi". "neburi" means sleepiness and "nagashi" means carrying off. In the ceremony, the spirits of sleep were cast into the river or sea to be carried away. 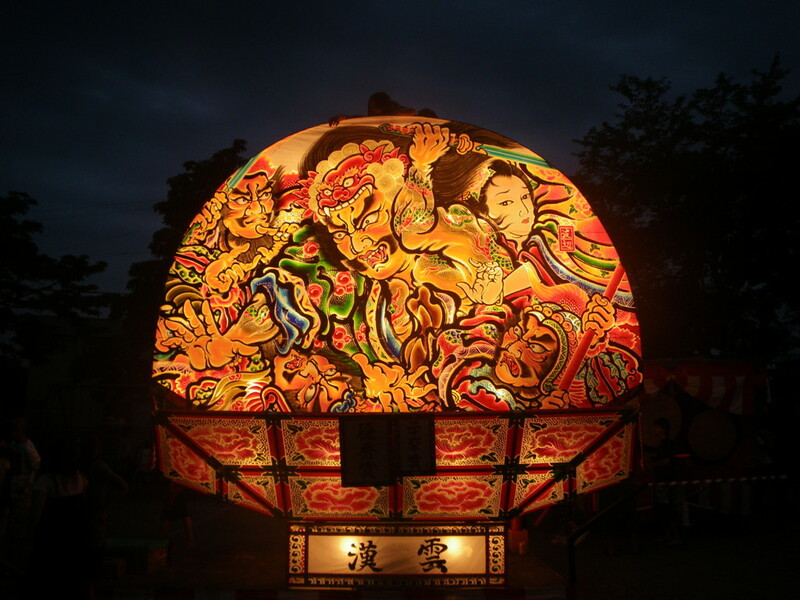 So, in Aomori-ken, there are some style of nubuta festivals like The Aomori Nebuta festival. The Hirosaki Neputa festival is the most famous one. The Hirosaki Neputa festival use some big lanterns float, too. But that shape is different from Aomori's one.